For as long as I’ve been drinking craft beer, I’ve been drinking Goose Island’s Bourbon County Stout. 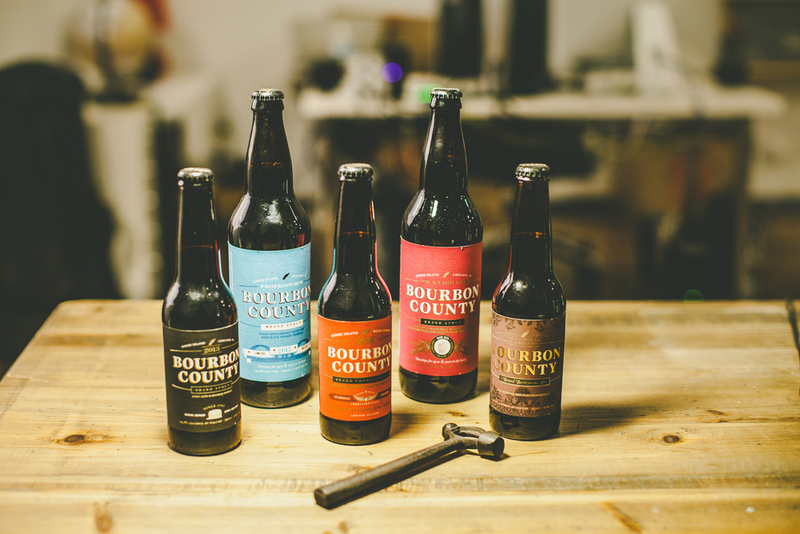 And with as many variants as they produce year after year, the BCS line-up alone has more range and nuance than some brewers will ever attain in their entire portfolios. Every year, around this time, the weather in Chicago gets icy. The days get terribly short. And my palate starts to shed it’s hoppy skin for a winter molting. All I can think about are the rich, dark flavors of beers like Bourbon County, and maybe a cardigan with elbow patches. It’s a scholarly look, and BCS is a professorial beer if ever there was one. Always a northerner, I welcome the winters. There’s something about the changes in the season that discipline a person’s soul. And with those changes in season, a beer like BCS is also taught a thing or two. The temperature changes help the barrel swell and contract throughout the seasons, soaking up the beer, and letting out the bourbon and other woody flavors like an alcoholic respiration— slow breaths in hibernation. Across the street from Goose Island’s production brewery at Fulton & Wood in Chicago, is a series of interconnected warehouses with all manner of barrels (wine, bourbon, cognac) stacked to the ceiling, and numbering in the thousands. Throughout the year, these barrels are watched, rotated, and flagged for blending. 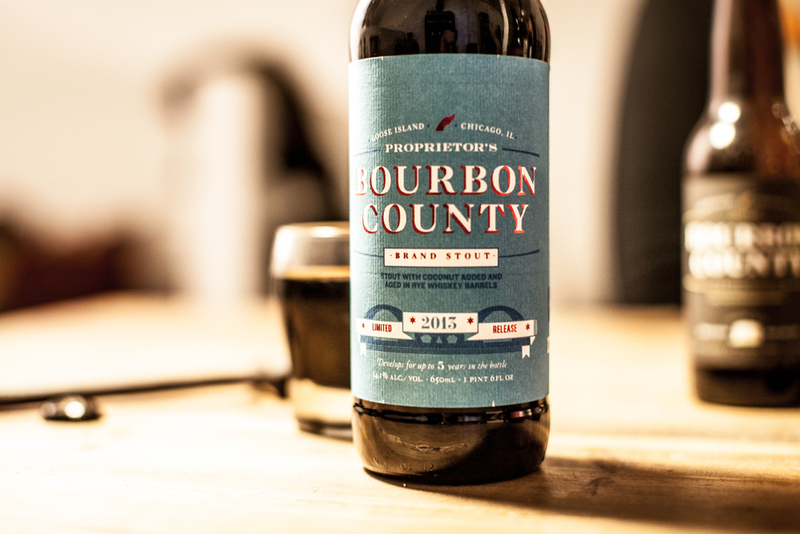 Some are blended together to form the iconic Bourbon County Stout that people in Chicago can taste just by conjuring the memory of it. Others are pulled aside to become variants that change every year, finding new ways to highlight a flavor, or twist an expectation. Until this year, it's been John Laffler, now of Off Color Brewing, in whose charge these barrels were committed. Laffler and his new brewing partner Dave Bleitner, recently won two Silver medals at the Festival of Barrel Aged Beers in Chicago, one for barrel-aged Scurry, their honey altbier, and one for cherry Troublesome, a Gose aged with fruit, ironically competing against the dominating barrel program he left behind. One of those, the new BCS Backyard Rye, won gold. John Laffler, former manager of the Goose barrel program at the Boudonia release party. 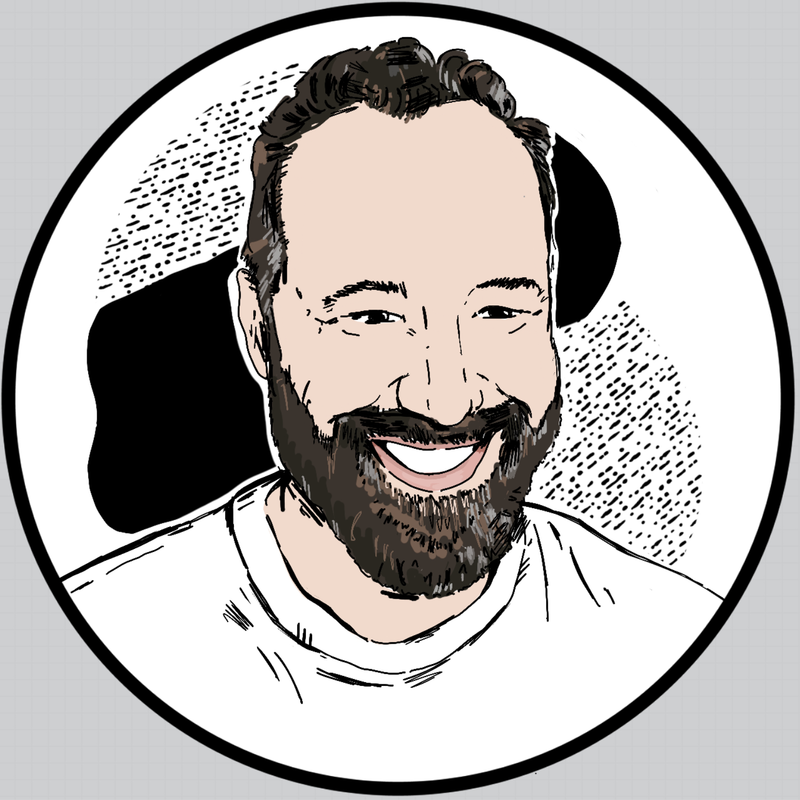 Mike Siegel, the Innovation Manager at Goose Island, has overseen the program since Laffler's departure, ensuring the seminal work Goose began years ago continues to develop in new and exciting ways. It's been a dramatic year for the company, in the midst of both transition, and explosion. "It's a huge transition, " says Siegel, "with the quality of the talent that’s gone out the door. We’re carrying that torch now and trying to grow at the same time." Brian Turner is the continuity in the warehouse, spending his entire shift moving and rotating barrels for the rapidly expanding program. "He could walk around any of the warehouses and tell you exactly where Halia is, where he’s got stuff squirreled away," says Siegel. "We've been so busy, but we're done filling the barrels for the sisters next year, and done emptying BCS barrels for this year. We're able to breathe a little bit. We can finally get to some projects that have been on hold all summer, like mapping the warehouses and sampling innovation barrels that have been around for three-plus years. If we put blueberries in them three years ago, we can finally see if there's some magic in there, or if we need to just dump them. Probably a little bit of both." The program that Laffler, and Tom Korder, the former innovation manager now launching Penrose Brewing in Geneva, Illinois, left behind some pretty big shoes to fill. 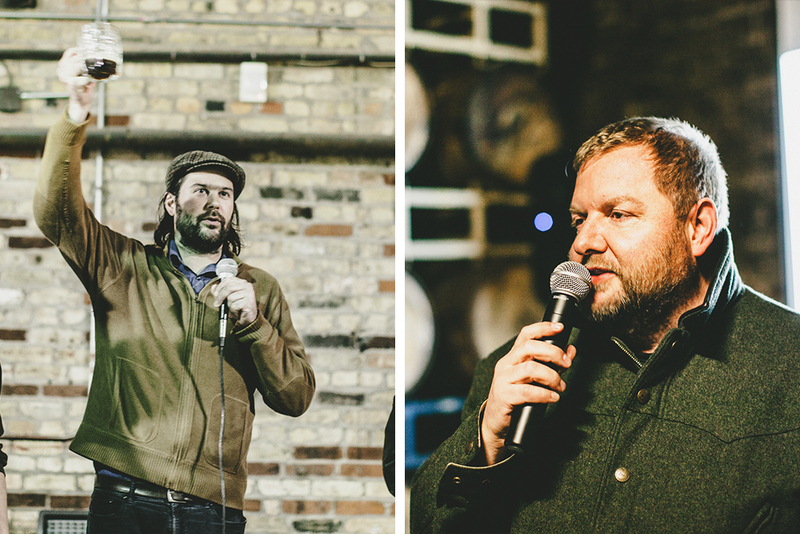 "When Tom and John left," says Siegel, "Brett Porter [Goose Island's Brewmaster] had an opportunity to look at these roles and re-structure a bit." And with the program increasing production at such a high rate, it took a growing team to keep up. "We're trying to rotate in a lot of new guys we've hired. We start a lot of our crew in the barrel work now. Before they get trained in the brewhouse and the cellar, the come in as interns, and the barrel program is our most immediate need. We need guys who can put in 50 pounds of of fruit today, and clean barrels tomorrow. It's a huge effort." Some of the talent took process knowledge with them. But like any business focused on growth, the processes must iterate as well. "We may have made a great beer before, but it might have been horribly inefficient.," explains Siegel. "So we take it apart, start over, develop a new SOP (standard operating procedure), and try to do it better, more efficiently. We're always critical of the process." 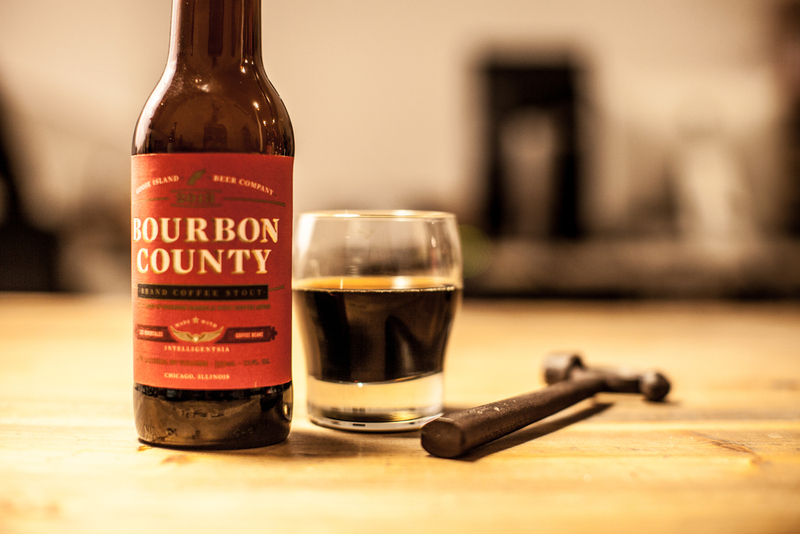 That process came into question this year when the crew had to make the cold-brew coffee for the Bourbon County Coffee Stout for the first time since Laffler's departure. "This year I had to ask myself 'how do we make the coffee? ', Siegel recalls. "I don't know, Laffler always made the coffee. But more importantly, how do we make as much as we need this year? It's so much more. So we got some fresh eyes on it, and some fresh thinking, and we made almost forty barrels." Coordinating the barrel program, with so many different brands and variants being produced, has been the biggest challenge for Siegel and the crew. "This past week, we filled the Madame Rose barrels. Lactobacillus, Pediococcus, Brett Brux, Brett Lambicus, sherry strain and Shaerbeek cherries. And the next day we had to get 25 pounds of honey and fresh-cracked white pepper into Gillian barrels. Scheduling and ensuring everything we want to make is even feasible has been the biggest challenge." Goose is releasing a number of new BCS variants this year, achieved though blending, barrel selection, and the addition of ingredients that can take the base beer in surprising directions. In addition to the variants already in bottles, Siegel and the team will be pouring a yet-to-be-named version aged in Templeton Rye barrels at the Clybourn brewpub's Black Friday celebration this week. 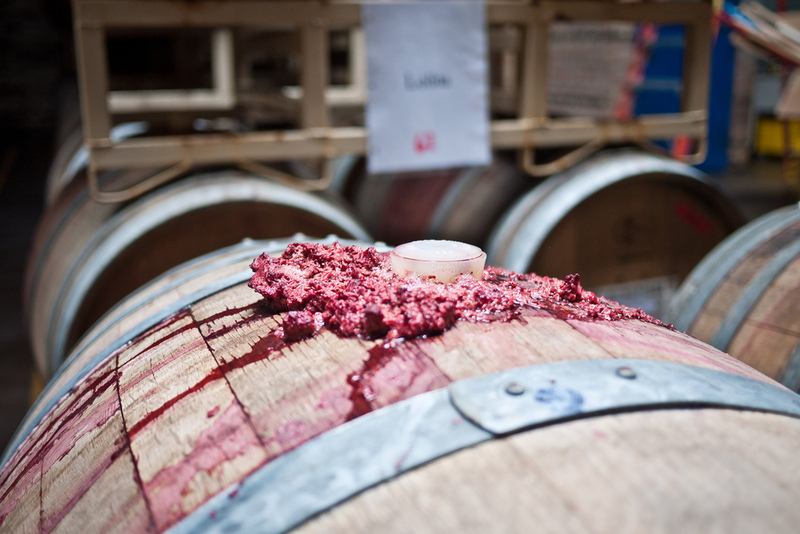 Described as a "happy accident," the team had to remove the base beer from some barrels to make room for fruit. But that beer took on a life of it's own. "We couldn't let it go to waste," explains Siegel, "so we put it into some Templeton barrels. It's a sort of 'no-place-to-go' beer, and we ended up pouring some at FoBAB." 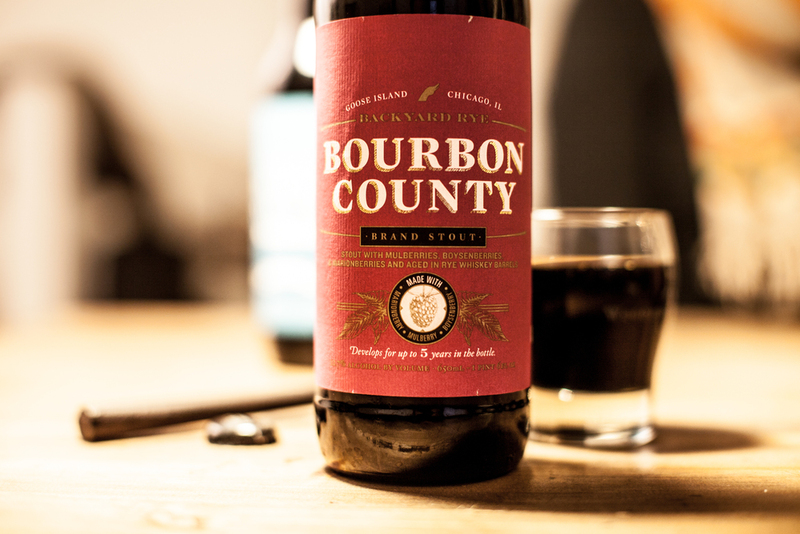 The annual Bourbon County Coffee Stout is always made with a hand-selected Intelligentsia coffee — these two have been collaborating on the coffee variant since its inception, about 5 years ago. This year’s coffee was extracted over a few days in a 37 barrel cold-brew batch from Intelli’s Los Inmortales roast. 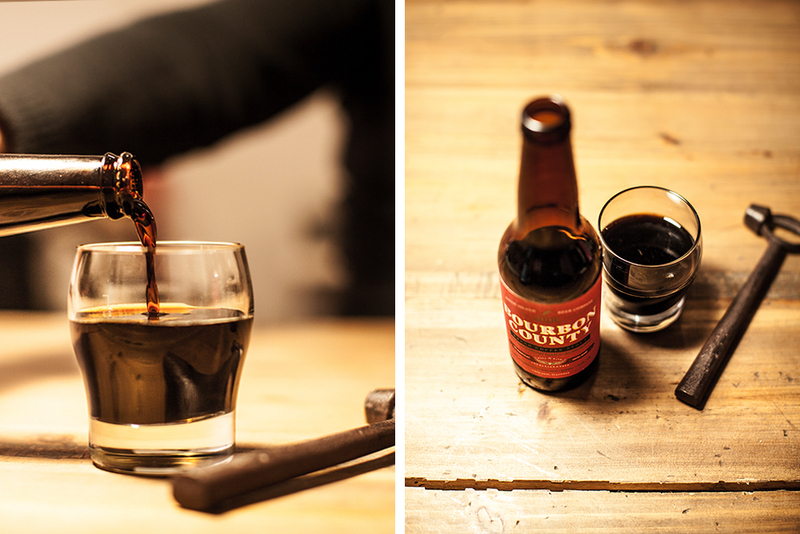 At 1/10th the volume of the final brew (nearly 370 barrels), this coffee plays a substantial role in the beer. "The bean is from an area of El Salvador where they grow almost 100% Bourbon (Bore-bone) — an heirloom coffee variety. Los Inmortales has a very ripe fruit, cherry flavor. Like an heirloom tomato, they have a more intense fruit-forward quality. Really nice balance, drinkable. Maple syrup, soft fruits. This was the year we really embraced the notion of finding a coffee that was congruent with the flavors of the beer. It’s the most integrated, drinkable BCS that we’ve developed so far." This year I had the chance to sit in on the first tasting, the day following the blending, with the Intelli and Goose crews. Maybe it was the fatigue talking (making that much coffee is an insane job) but everyone seemed especially proud of this years' variant. Not a stout at all, this barleywine in the spirit of Goose’s King Henry, is aged in second-use BCS barrels to take the dark fruit character of the barley wine, and wrap it in vanilla, whiskey, caramel, brown sugar, and oak, creating layers upon layers of flavor. 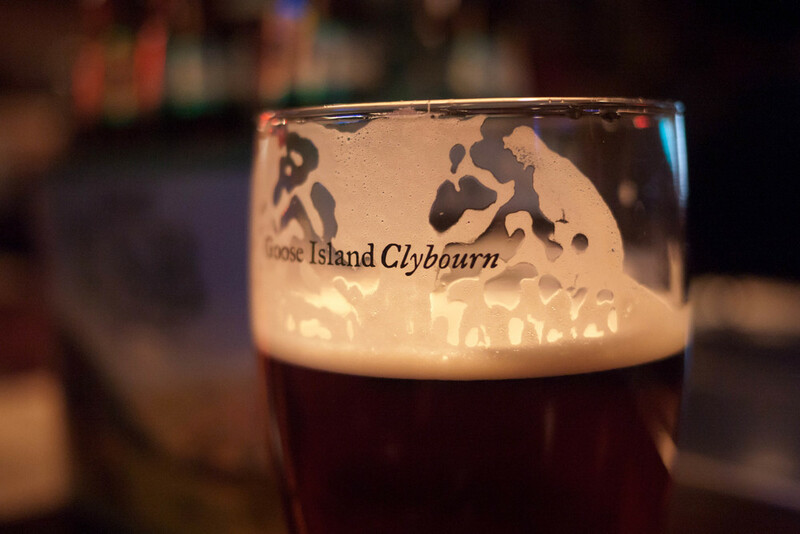 A fireside beer if ever there was one. 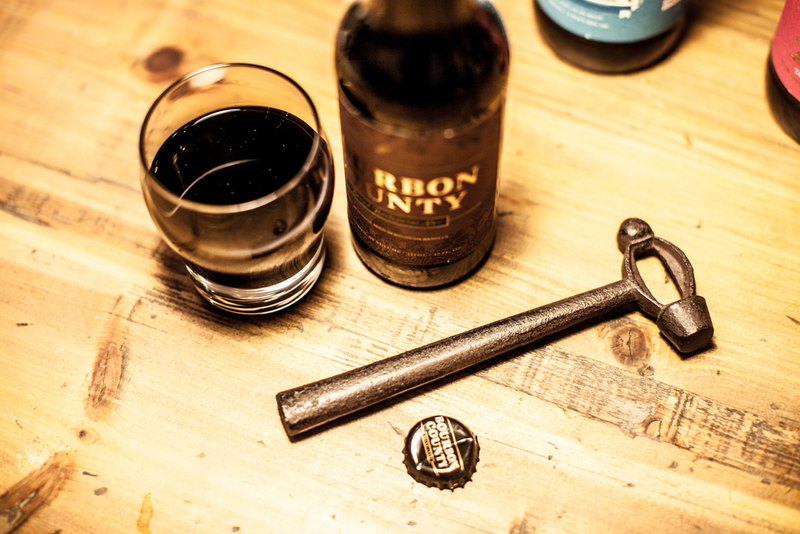 BCS is one of the most sought-after, and highly traded beers in the country. But since Goose has taken many of their brands national in the past year, there’s been some question as to how well-served the Chicago market has been by the rapid growth of our hometown brewery. Despite the actual abundance of BCS last year — 4-packs and bombers showed up at grocery stores and drug stores for the first time ever — Chicago's Goose drinkers outpaced even these unprecedented levels of production. This year, Goose is doubling down in their hometown with two variants, one available exclusively in Chicago, and another that couldn't be made anywhere else. Winning two gold medals at FoBAB this year, this variant is made with mulberries, marionberries, and boysenberries picked wild in Chicago’s Humboldt Park neighborhood, just down the street from the GBH Studio. Spreading tarps in the park, climbing trees, and shaking branches, the team had to return several times as the fruit ripened. Backyard is aged in Templeton Rye barrels for a unique boozy quality alongside the bright fruit characteristics. In a stunning blue and red label in homage to Cook County’s much-loved flag, BCS is aged in Heaven Hill bourbon barrels with coconut. While coconut flavors can sometimes be evoked just through the barrel itself, this variant pushes those flavors much further with actual coconut flesh, giving it a sweet, but dry flavor from the flesh of the nut, equally as powerful aroma, and almost no head due to the residual oils. And then all that BCS body comes rushing through. Available in Chicago only. At least until it hits the trading boards, but that's on us. If you’re willing and able to stand the cold, you can line up with the rest of Chicago’s bravest outside the Goose Island brewpub for their annual Black Friday event. And for the first time, you can take part in the Black Friday event across the country in locations in San Francisco, New York, and Austin. Or you can play it like I do — put your most professorial sweater on, kick back with a bottle of last year’s BCS, and wait for a friend to stop by with some bottles he pried from some poor sucker’s frozen clutches. Ah, Christmas. If you’d like another take on Goose Island’s BCS line-up this year, I highly recommend Philip Montoro’s article in the Chicago Reader. Good guy. Good taste buds. Good humor.